When you lose heat in the middle of winter or need an energy-efficient cooling system for your home, you can count on Cote’s Mechanical. Our company offers the best air conditioning and heating services in Oak Point, including installation, repairs, maintenance, and replacements. When you call us for service, you’ll get a free estimate for a new installation or a free service call with repairs. We strive to provide the most timely and reliable HVAC services for residential and commercial customers. With help from our technicians, you won’t have to go without a running furnace or air conditioner at your home or business for long. Our team works with all kinds of HVAC equipment, including traditional and ductless air conditioners, gas furnaces, heat pumps, and boilers. When you have an HVAC system that isn’t running as efficiently as it should, it might be time to install a new one. Cote’s Mechanical has licensed technicians ready to help you find a new energy-efficient HVAC system for your Oak Point home or business. We also offer 24-hour repairs since we understand that HVAC emergencies can happen at any time of the day or night. Our company offers more than just installations and repairs; we also provide routine maintenance or seasonal tune-ups to keep your heating and cooling system operating at maximum efficiency. Our other services for Oak Point customers include replacements, attic insulation, and ventilation, which are all part of ensuring that your home maintains a comfortable temperature. 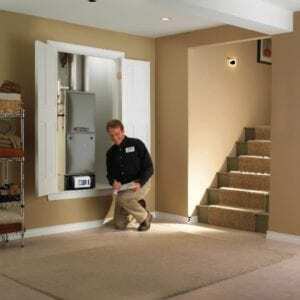 The best HVAC companies offer more than just heating and cooling services. Great customer service, including prompt repairs and a professional attitude, is what sets these companies apart from the competition, and Cote’s Mechanical owners Cote and Kristi Wyatt understand that. Since 2001, we have been committed to ensuring that customers in Oak Point receive the best customer service. We have more than 40 employees available to assist customers, so you can count on receiving timely care. Our dedication to making sure that emergency repairs are handled right away has been noted by our customers. Online reviews have mentioned our technicians’ reliability when it comes to arriving as soon as possible, especially when a customer’s A/C stops working during the summer. Our customers greatly appreciate being able to reach us at any time for repairs and being able to count on us for quality installation services. In addition to glowing online reviews from customers, we have also earned awards and other forms of recognition from national organizations. 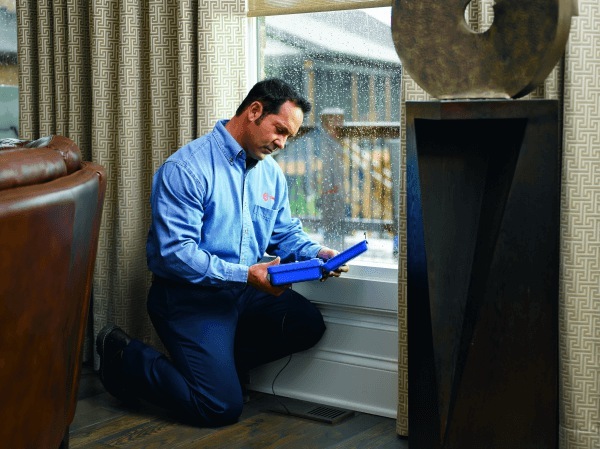 These include certification from Trane as a Comfort Specialist, accreditation from the Air Conditioning Contractors of America and accreditation, and an A+ rating from the Better Business Bureau. Our company also has certification for North American Technician Excellence and a Superior Service Award from Angie’s List. There are around 4,200 people who make their home in Oak Point. The city is close to Denton and other major cities; residents can drive to Denton in about 20 minutes on US-380 W, while Fort Worth is about one hour away via I-35W. Dallas is about 50 minutes away on I-35E S.
Oak Point offers several ways to enjoy the outdoors when the weather is pleasant. Residents can head to Jake’s Place Park for picnics, a playground, and more, or join Prestonwood Polo and Country Club to play polo and participate in other equestrian activities. Residents with a boat can use the Oak Point Boat Ramp to explore the waters of Lewisville Lake. The Crescent Oaks Property Owners Association features a clubhouse and pool for members to use. Residents of Oak Point who want to help out the local community can join local Boards and Commissions, such as the Parks and Recreation Commission, Board of Adjustment, or Planning and Zoning Commission. Other volunteer opportunities are available at the Oak Point Economic Development Corporation. When you need high-quality HVAC services in the Oak Point area, contact Cote’s Mechanical. Our team of qualified technicians offers reliable repairs, replacements, installations, and more for residential and commercial customers in and around the Oak Point area.